Stitch Fix is utilizing machine learning to be your personal shopping assistant–changing the retail landscape one algorithm at a time. At Stitch Fix, machine learning is integrated into every part of the business model, and the personalized shopping experience they deliver is powered by data science. Q1: Machine learning is critical to Stitch Fix’s management of process improvement and product development, as “we use data science throughout our business, including to style our clients, predict purchase behavior, forecast demand, optimize inventory and design new apparel.” Stitch Fix customers directly provide many data points for the company, including structured information such as size and brand preferences, and unstructured information such as social media and Pinterest boards. 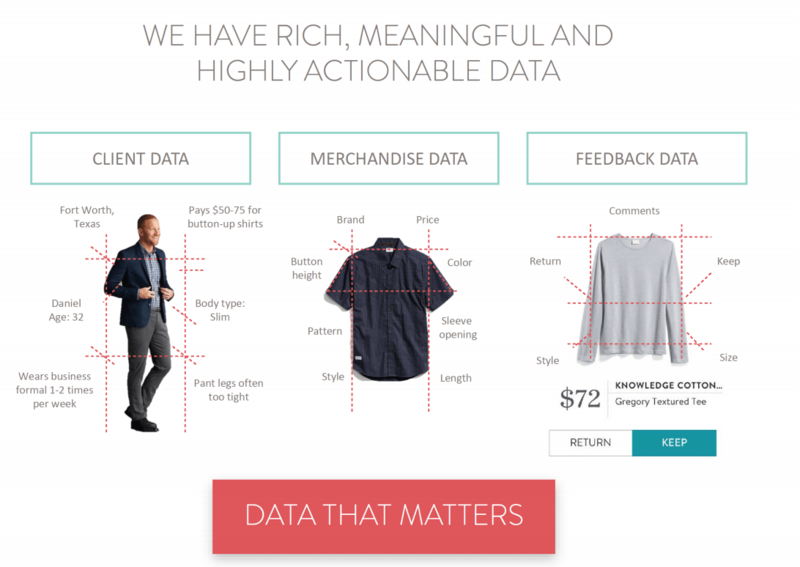 “This large and growing data set provides the foundation for proprietary algorithms that we use throughout our business…and as our data set grows, our algorithms become more powerful.” This information increases chances for Stitch Fix to select clothing the customer will keep—Stitch Fix wants success on the first shipment (“Fix”) to facilitate customer satisfaction and lower return rates. When products are returned, Stitch Fix uses machine learning to better understand clients’ sizes and styles for future shipments. Based on how many Fixes a customer orders, Stitch Fix can also predict clients’ purchasing behavior and buy inventory accordingly, saving on inventory costs. Stitch Fix also uses machine learning to create new products, called “hybrid designs.” Stitch Fix sorts through top attributes of best-selling products, then combines these top attributes into new products for different fixes. They also create new products based on customer feedback. For example, women were complaining that camisoles were too low cut, so Stitch Fix created their own adjustable camisole. Q2: In both the short and medium term, Stitch Fix management will continue to capitalize on machine learning to launch new products and improve processes. Since Stitch Fix launched in 2011, they have steadily added new categories of business. In 2015 they launched maternity and petites, in 2016 shoes and men’s, in 2017 plus sizes and premium brands, and in 2018 kids. CNBC stated that “The rapid additions…should drive sustained 20% revenue growth…the kids opportunity could drive $0.12+ in EPS over the next three years.” These continued product launches have shown the flexibility and sustainability of Stitch Fix’s machine learning platform. Stitch Fix also has exclusive brands, which they have been launching when they add new categories of business. When Stitch Fix launched kids, they introduced an exclusive brand Rumi + Ryder. In the future, Stitch Fix will continue to add more exclusive brands that they develop based on machine learnings from customer feedback. Q3: There are many additional steps management could take to continue building on machine learning. One idea is to increase the number of items per fix for adults (currently 5) relative to Kids (currently 8-12) based on algorithm recommendations. 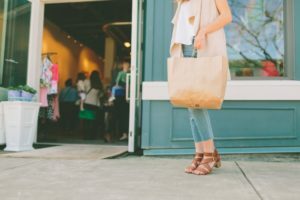 In the medium term, the CEO stated that Stitch Fix plans “to continue growing our addressable market through expansion into new categories, product types and geographies.” Currently, Stitch Fix is only offered in the U.S., but they announced this October that they will be entering the UK market. Their ability to integrate additional data into their algorithms will allow them to effectively scale globally. Stitch Fix can also start utilizing machine learning to prioritize rush orders. Currently, it takes around a week to receive a Fix. They can build an algorithm to account for rush orders and prioritize these Fixes in the styling funnel at premium prices. A Stitch Fix order is processed by 5-10 styling algorithms before it reaches a human stylist, so one of these algorithms could add in a prioritization funnel. Wilson, H. J., Daugherty, P., & Shukla, P. (2016). How One Clothing Company Blends AI and Human Expertise. Harvard Business Review, 22, 1–8. I think Stitch Fix is competitively situated well against Amazon because of the human element to their process, at least in the short term. I agree there might be a future where AI is on the same level with human pattern recognition, but I don’t think we are there yet. Therefore, Stitch Fix’s stylists continue to provide “that special something”, that Amazon does not have. I like that you explicitly call out their creation of new products based on customer feedback. While their position as a digitally-native ecommerce company has served them well to date, I’m curious whether you think they would ever open any brick and mortar stores. We’ve seen retailers like Allbirds Shoes and Casper Mattresses get their starts online, but then move to select brick and mortar stores. Whether this is to enable in-person try on or to drive brand awareness is yet to be seen, but I’m interested whether Stitch Fix will ultimately run into a wall that data as it exists today cannot solve for them. 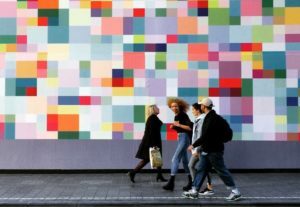 I like the link between understanding customer preferences better and reasons for return through machine learning. However, as Stitch Fix expands into new geographies and new product categories, I fail to see how machine learning can help them scale successfully without having any prior data on those market trends. In fact, this would be an area where there machine learning algorithm can be complemented by inputs from their stylists to make the first move in the market and then rely more heavily on machine learning in the future as they gather more data on consumer preferences in these markets. One of the benefits of Amazon over stich fix is the ability to order pieces at a time. However, stich fix may currently have better algorithms to suggest clothes to customers. One of the hassles I see with stich fix is the reoccuring shipments and returns. I would suggest stich fix open pop-up stores where they have a heavy customer base and have current clients create appointments in advance to try out a multitude of clothing all at once. There are some inherent issues with this: if customers use stich fix so that they don’t have to go to the store (convience) then this is not a good idea. However, if the reason customers value stich fix is their ability to accurately predict what they like so that they don’t have to go through as many pieces, then this could add real value to customers. Also, having new customer’s walking and tell them brands and sizes they like and having an alogorithm decide what clothes a stylist picks out (updated in real time as the customer tries on clothes) would be a big differentiator.